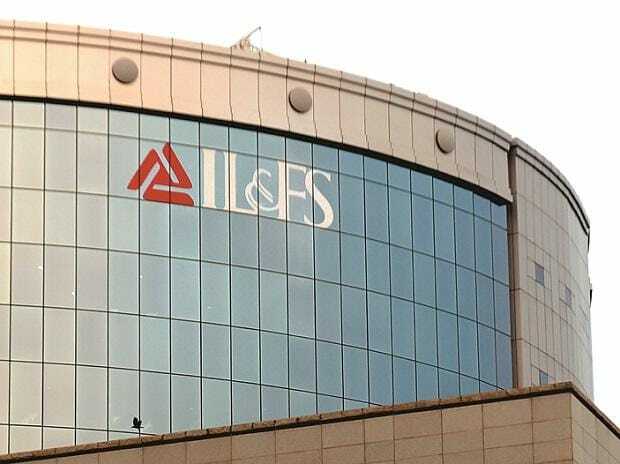 The Infrastructure Leasing & Financial Services (IL&FS) board on Wednesday presented a status report on the group’s financials and the asset monetisation plan, six months after the government-appointed panel took over the reins of the company. The board said the asset monetisation plan for the beleaguered infrastructure finance player was in good shape as far as the assets put up for sale were concerned, and that it expected the resolution process to accelerate. The board also said the financial arm of the group had posted gross non-performing assets (GNPA) of 90 per cent in December 2018 as against 5.3 per cent in March 2018, and the group’s net worth had seen significant erosion. IL&FS Financial Services’ (IFIN’s) GNPA as a percentage of advances would be the highest by any financial institution involved in lending. “I have heard of double-digit NPAs but 90 per cent GNPA is very unusual by any standards. That's the challenge that we have faced,” said Kotak Mahindra Bank MD & CEO Uday Kotak, who is also non-executive chairman of the IL&FS group. The total external exposure of IFIN was estimated at Rs 10,656 crore at the end of March 2019, of which its exposure to group companies stood at Rs 6,849 crore. The board said it was exploring all options, including legal process and one-time settlement, to recover the dues. The net worth of the group, which was around Rs 9,000 crore in March 2018, has reduced sharply. “It is reasonable to assume that there is significant erosion to net worth and in many many cases there could be a significant in negative value," said Kotak. 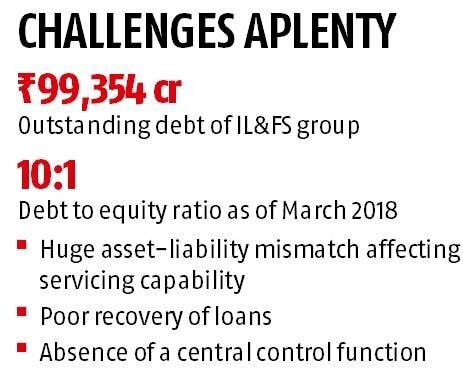 At consolidated level, the IL&FS group had an outstanding debt of Rs 99,354 crore at the end of September 2018. About half of this, or Rs 48,470 crore, was in just four holding companies -- ILFS, IFIN, IL&FS Energy Development Co, and IL&FS Transportation Networks (ITNL). The board appointed C S Rajan MD of IL&FS, who took over from Vineet Nayyar, who will be the executive vice-chairman. "The position of the new board is to see how to recover money for the interest of the stakeholders including creditors. We have not stepped into the shoes of what was wrong, we have stepped into the shoes to protect stakeholders," added Kotak. But the new board has already launched asset monetisation plans for 55 entities, of which 11 entities related to renewable energy have already received bids in March. As far as domestic roads vertical ITNL and energy vertical IL&FS Tamil Nadu Power Co (ITPCL) are concerned, they will receive binding bids by May 2019. Similarly, the alternative investment fund management and education arms will receive bids this month. The board, however, said it could not comment on how long the process would take and when the money will come as all of it has to be approved by the National Company Law Appellate Terminal (NCLAT) and is also subject to supervision by Justice D K Jain. “By May we will get an idea about how much monetisation of assets will fetch. But we are in good shape as far as the assets that have been put up for sale are concerned,” said Kotak. On the time needed for the resolution process of the whole group, Kotak said, "We will be able to achieve this in an accelerated manner in an environment of comfort with each other's trust. We are not trying to hoodwink anybody." "We also know that whatever comes will not go to the shareholders but to the creditors sitting on the other side. There is a good discussion that is happening and we are expecting a fairly reasonably faster and fair outcome of this," he added. The IL&FS group is enjoying a moratorium period on its debt and the board said it is up to the NCLAT to decide till how long it should enjoy this moratorium period.